The mystery of Rosslyn Chapel hails from long ago when kings of Scotland once reign. I had the great fortune to visit this remarkable place. Legend tells Sir William Saint Clair won a very important wager with King Robert the Bruce. Sir William had two dogs named Help and Hold and he wagered his head that his dogs could kill the deer before it made it to March Burn. So the King angered by his boast placed the wager St Clair’s head if he lost but if he wins all the Pentland Hills and Pentland Moor with the forest would be his. (1) A game of chance is what started it all. William prayed to Jesus, Mary, and Saint Catherine to aid him. The dogs Hold and Help did kill the deer and Saint Clair was given the land and kept his head. Later in the 1400’s another William Saint Clair built Rosslyn Chapel in gratitude to the creator and used top stone masons from Norway, France, and Scotland to build it. I was lucky to get the birds eye view of Rosslyn up on top where it steeples stood high in the sky. The copyright on this image is owned by Anne Burgess and is licensed for reuse under the Creative Commons Attribution-ShareAlike 2.0 license. My first impression of Rosslyn's steeples were they reminded me of chess pieces lined upon the chess board. The larger pieces in the back and the pawns in the front. My guide told me that each steeple is unique. 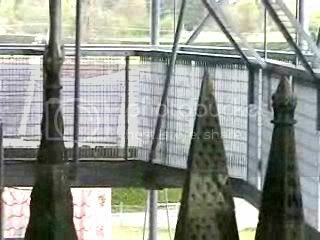 I did notice two geometric designs conical pyramids and pyramids with a square bottom. The square pyramids usually had a pointed top where the cones would have elaborate tops. Kirsan Ilyumzhinov is president of the World Chess Federation who in a recent interview explained his theory on the origins of chess. He believes in extraterrestials and will be coming out with a book on his theory that chess was a gift from outer space. He has in his travels been shown ancient sets all over the world from Bulgaria, Ghengis Khan's grave, and in Latin America which the rules chess were the same. He believes it is from a extraterrestrial civilization. All the pieces have their special patterns of movement. 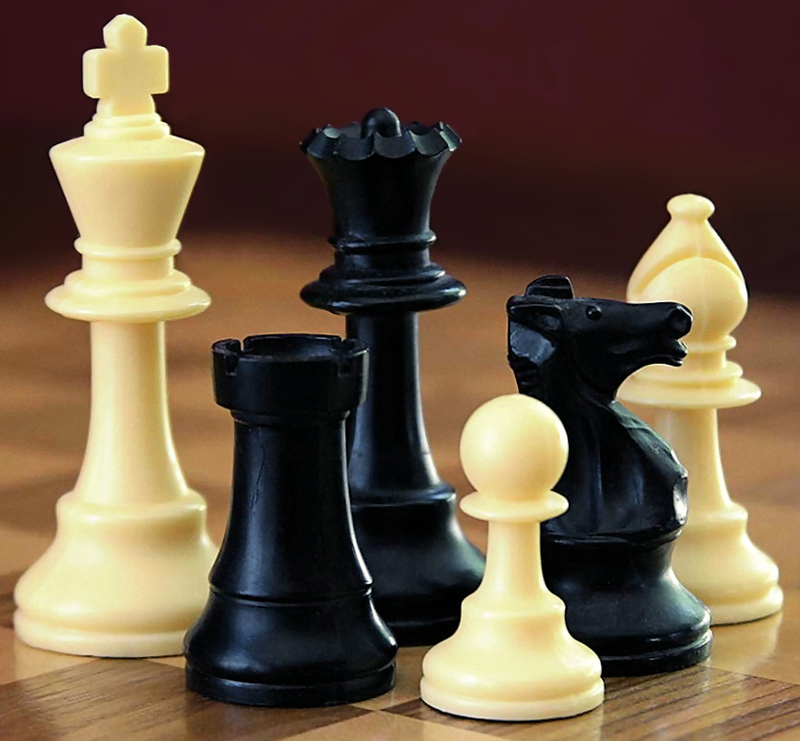 The bishop in a X pattern, the rook in a + pattern, knight in a L pattern which ends up in a circle, and the pawn is one lowly piece who can someday be a king. The Queen is the strongest piece on the board. This reflects the words hanging over the arch on the Apprentice pillar. Forte est vinum fortior est rex fortiores sunt mulieres super omnia vincit veritas: "Wine is strong, a king is stronger, women are stronger still, but truth conquers all" (1 Esdras, chapters 3 & 4). Chess is a strategy game and played on a checkered board. Many Freemasons temples have the symbolic black and white checkered floors. Chess has its ranks just as the Freemasons has its levels with the idea that the pawn can work his way to being king. that maybe represented in its roof tops. Four of the steeples my guide told me have diamonds, clubs, hearts, and spades on them. They would represent the game of chance of playing cards. Elizabeth, Dido, Clotilda, and Pantalisee. The clubs symbolize the Triquetra. It has been found on runestones in Northern Europe and Germanic coins. It has been found in the Book of Kells and is connected to the Triple goddesses. Odin is connected to the Valknut which looks similar. It is also the clover that the bees pollinate of which a man made beehive was discovered near one of the steeples. It symbolizes the trinity and Holy Spirit. It is connected to the fleur de lis and connected to the Archangel Gabriel. The Merovingian King Clovis who was converted to Catholicism had the fleur de lis for his symbol. Canadian coats of arms, flag of Nova Scotia,New Orleans and Arcadien flag. The symbolism of the Spade is that of the leaf of the Cosmic Tree. Adam needed the spade to toil the earth do to his sin of eating from the tree of knowledge. The Ace of Spades has the reputation for being the death card. The symbolism of the Heart is the seat of the soul. Eternal love triumphs over death. Many Crusaders had their hearts removed and buried. King Robert the Bruce asked Douglas and Saint Clair to take his heart to Jerusalem. They died fighting the moors in Spain. It was said the Marmeluks introduced the Crusaders to playing cards of which they brought them home with them.Cards has religious, metaphysical, or astronomical significance. Each suit has thirteen cards representing 13 months of the lunar year. The whole deck has 52 cards representing 52 weeks of the year. The Diamond symbolism is one of immortality and was considered a healing stone. It was connected to the number four and the Rune Dagaz. The Saint Clairs had gypsies come every May and June to perform plays. In two of the castle towers named Robin Hood and Little John the gypsies stayed during their visit. Gypsies had a talent for cartomancy. It is fortune telling by using a deck of cards. It is said to have dated back to the Ancient Egyptians and was a predecessor to Tarot cards. Clubs (wands) was for Fire symbolized by the salamander. Hearts (cups) represents water and the Undine. Diamonds (pentacles coins) symbolized Earth and the Gnomes. Spades (Swords) represents intellect and the air sylph. One of the greatest cartomancers was Marie Anne Adelaide Lenormand. She read cards for Empress Josephine, Napoleon, Marat, Robispierre, and Czar Alexander. She predicted the divorce of Napoleon and Jospehine and the violent deaths of Marat and Robispierre . The numbers one, two, three, and four are seen symbols of the the suits. The symbolism of Rosslyn's stone masons are quite a mystery to us all on why the symbols of playing cards would be chiseled into the stone. Antoine Court de Gébelin had a theory that the Egyptians who had possession of the Ancient Mysteries used these symbols and obtained them from the Book of Thoth. The Vatican came in possession of this book and introduced them to the French. He wrote the book of how Tarot began and its connection to the Egyptian mysteries. The Cathars placed watermarks on the Tarot cards especially on the Ace of cups. The Albinegesiums connected the card to the Oubourus (winged dragon eating his tail). Cards and Chess have their origins from ancient times, cards deals with chance and fate, while chess deals with strategy and man's tactics. Both of these games maybe more than what they appear. "Man and women are merely players" in this life. The philosophical question is asked did the witches in Macbeth know the future and Macbeth played out his written destiny or did he have a choice. 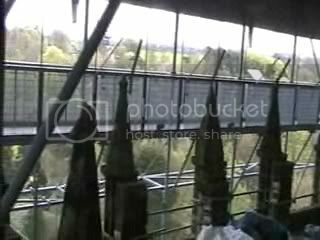 I wanted to share the uniqueness and mystery of the steeples of Rosslyn Chapel and my view at the possibility of their symbolism.